Welcome to the Van Subaru Family - your premier Subaru dealer in Kansas City. Located at 90 NW Vivion Rd., we proudly serve the entire Kansas City area and offer a fantastic selection of new and used Subaru cars and SUVs. Our mission is to satisfy each and every one of our customers by helping them choose the car of their dreams. Each of our service representatives are well-trained and knowledgeable, and are happy to inform you about all our dealership services. We also assist you in the purchasing process and answer all your questions along the way. Come down to Van Subaru today and discover what we have to offer. As a leading Subaru dealership in Kansas City, we'll do our best to make sure you'll leave a satisfied customer. Searching for a Kansas City area Subaru dealer? You've come to the right place. At Van Subaru, our new car inventory is being stocked daily with top-of-the-line models, such as the 2019 Subaru Forester, Legacy, Outback, Impreza, WRX and Crosstrek. If you'd like to find out a little more about our lineup of Subaru models before making a purchase, you can research each vehicle in our virtual Subaru Showroom. We want to make sure you choose a car that best suits your everyday needs and as one of the top Subaru dealers in Kansas City, we'll do everything we can to get you in the perfect car. In addition to our new car inventory, we also have a Subaru pre-owned inventory with high-quality used cars and SUVs. When buying on a budget, this is the way to go and we guarantee you'll be impressed by our lineup. You can shop according to mileage, features and price range to find the right car in line with your budget. If you have a specific car in mind, you can even use our CarFinder page to pinpoint the exact car you're looking for - simplifying the search process and eliminating unwanted selections. Contact us directly for additional inquiries and we'll be sure to get back to you as soon as possible. Van Subaru, your top Subaru dealership in Kansas City, grows stronger every day with new customers. 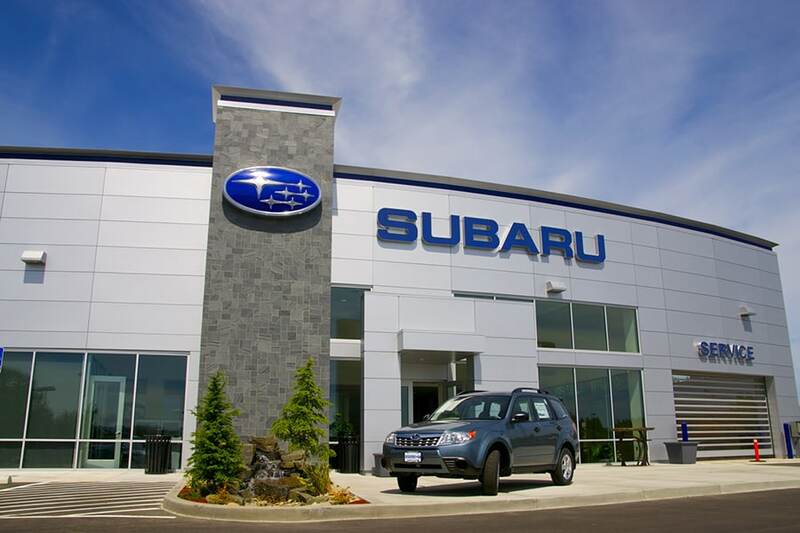 We are always striving to excel in Subaru Sales, Subaru Service and Subaru Parts. We always have great money-saving Service Specials for you to use and our service center is unbeatable. Each of our certified service technicians are trained to fix your car and return it to like-new quality. We specialize in auto repair and car maintenance services, including oil changes, transmission flushes and wheel alignments. When in need of auto repair at Subaru dealer in Kansas City, there's no better place to go than Van Subaru. We look forward to providing each customer with a unique and personalized touch that puts us among the best Subaru dealers in Missouri. Van Subaru in Kansas City, is a Missouri Subaru dealership that is proud to serve the Kansas City community. We pride ourselves on outstanding customer service and we honor dealership staff employees who excel in customer satisfaction. As your go-to Kansas City Subaru dealer, we continue to work daily on providing every customer with the finest Subaru customer service experience attainable. Subaru cars have a long heritage of surpassing super-high dependability landmarks and Van Subaru is pleased to share in this history as your Kansas City Subaru dealer of choice. Van Subaru proudly serves customers throughout the Kansas City area. For top-notch customer service, auto repair near me, and a wide range of new Subaru cars and used vehicles to choose from, make us your go-to car dealership. Get directions and our store hours here.